The California Faculty Association (CFA) voted to authorize a strike against the California State University (CSU) system in a vote that took place across the system’s 23 campuses, the faculty union announced today. Over 94 percent of the CFA members voted to strike, according to a release. The vote took place from October 16-28, conducted in in response to what the CFA claims are years of refusal on behalf of the CSU Chancellor’s Office to lift faculty salaries to a living wage. The union announced the vote on October 1, after mediation over salary arrangements for the 2015-2016 school year stalled. The CSU Chancellor’s office reiterated their commitment to the bargaining process, despite the strike authorization, which does not guarantee a strike. Another vote is required to effectively strike. As previously reported, the CFA and the California State University (CSU) system Chancellor’s Office are in mediation over salary arrangements for 2015-2016, and the Chancellor’s Office has rejected a five percent General Salary Increase (GSI) and 2.65 Service Salary Increase (SSI) for eligible faculty. The faculty rejected a two percent salary increase offered by the CSU Chancellor’s Office last October. The CFA have next planned a march and rally, to include representatives from 23 CSU campuses, at the CSU Chancellor’s Office on November 17. The rally is scheduled to specifically take place during the CSU Board of Trustee public meeting. “On November 17, the faculty and and our friends and allies will gather at the Chancellor’s Office in Long Beach to demonstrate both our commitment to fairness and our collective power in the fight to come,” Eagan said in a statement. Last month, Molle said negotiations have continued in good faith, and that the two percent raise was offered to faculty as part of a “balanced approach to compensation,” which includes addressing a funding gap of $68.9 million and addressing all priorities for student success. “When you essentially cut salaries, you drive out good faculty,” said Cal State Long Beach (CSULB) Classics Professor and union chapter president Douglas Domingo Forasté on October 16. 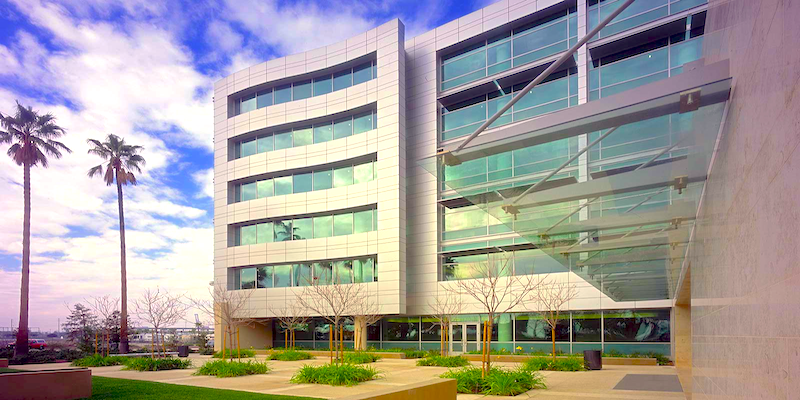 The CSU Chancellor’s Office is located at 401 Golden Shore in Long Beach.